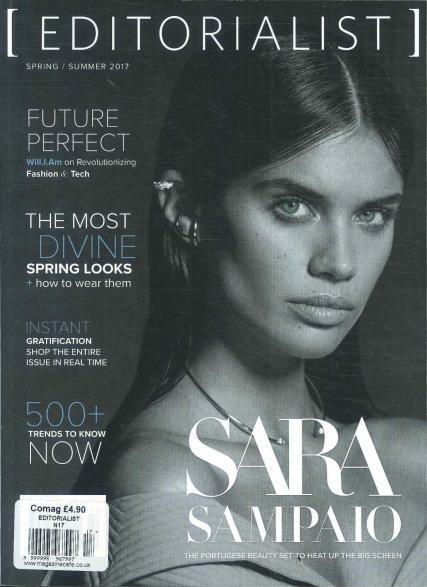 The Editorialist is a bi-annual magazine published by Editorialist, a luxury accessories e-commerce website; it made its debut in early 2014. A no-nonsense fashion and accessories with luxury style! Buy a single issue or subscription to Editorialist. The Editorialist was founded by the two leading accessories editors at Elle, Kate Davidson Hudson and Stefania Allen; they replaced the traditional fashion glossies and decided to create their own idea of the modern magazine. Each issue is aligned with current shopping seasons and features runaway fashion reports, exclusive fashion shoots, celebrity profiles, beauty, designer news, and shopping destinations fixated in the luxury goods market. Editorials have styled some of the fashion industry’s top names, with an influencers section written by style stars. The Editorialist has become a go-to for industries and tastemakers interested in the world of accessories.